The weekly photo challenge is Early Bird The golden hour BEFORE sunrise. 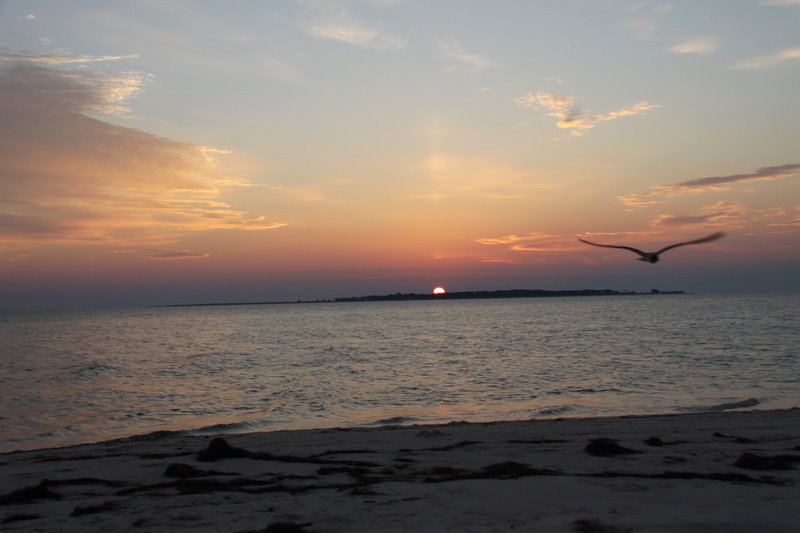 This is just at the moment of sunrise on St. George Island State Park, Florida where I was visiting dear friends last summer. The last morning we were there we drove and then walked to the end of the Island. It was a beautiful sunrise. 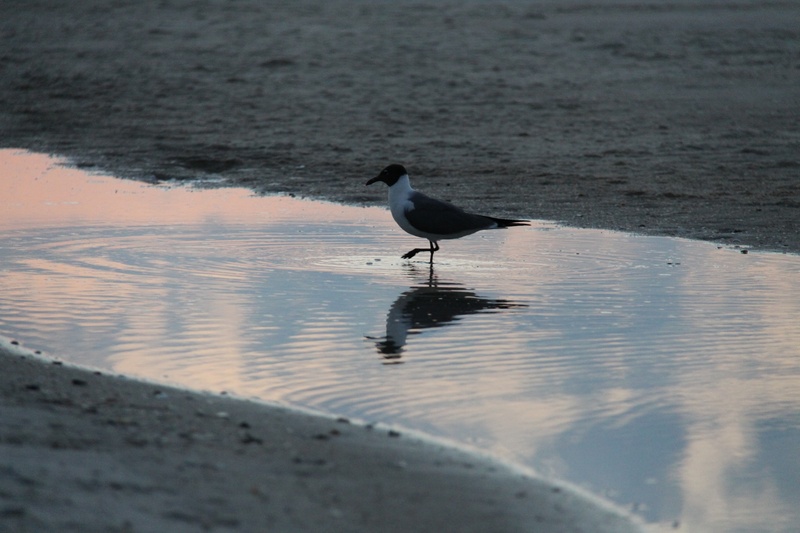 Another early bird- in a tidal pool, not at the State Park but by the house where we were staying. Me: That’s a lot of trash! My Sister: Yes, look up and see where it comes from. Nice work! This challenge has made me realise that although I’m a morning person, it’s the peace at home that I like most early on. Nice challenge you’ve got there and beautiful capture! I remember the morning, being an “early bird” myself! Absolutely beautiful pictures. Would love to see this part of Florida. What a wonderful time to be on the beach … and great capture.